Thank you for your interest in this site, and contacting me. Reader feedback is hugely important to this website, as many of my article ideas come from readers just like you. Have an idea for an article? Let me know. 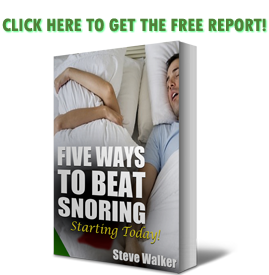 Is there a significant snoring device that I should be reviewing? Message me about it. Or, please comment via the comment boxes located throughout the site.